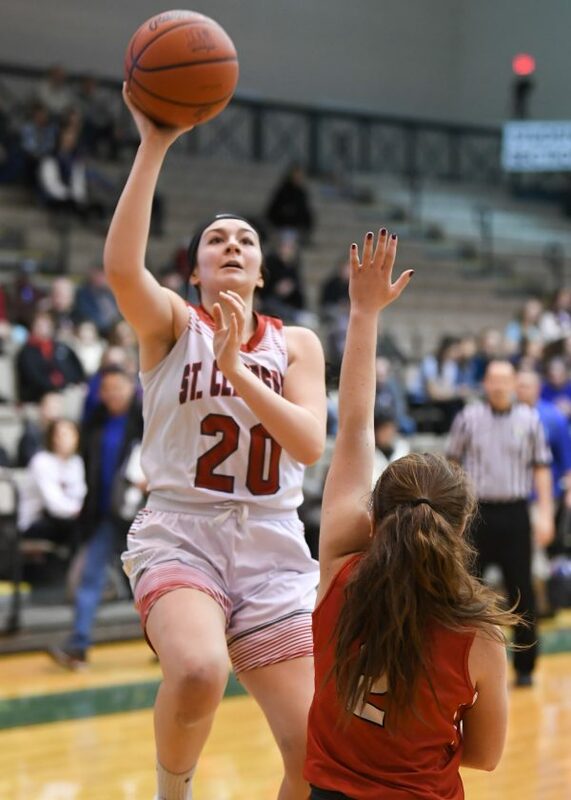 Beaver Local pulls out 4A title against St. C.
Photo/PAUL KRAJNYAK St. Clairsville’s Keri Klinkoski (2) goes up for a shot Saturday. ST. CLAIRSVILLE — Beaver Local went into the locker room staring up at a 11-point deficit during the Class 4A Wheeling Hospital OVAC Girls Basketball Championship Game. Having Riccardo on the interior certainly helped to make that goal attainable. Riccardo displayed an entire arsenal of moves as she scored — and rebounded — at will. She also collected 18 rebounds. Her points and rebounds are both OVAC Championship records.